Whether you need someone to clear a path or an entire lot, Creative Vision Tree & Landscape Services provides land clearing and tree care expertise to Lake City home and business owners. Creative Vision Tree & Landscape Services is capable of clearing large properties quickly and safely. Whatever your specific needs, our experienced staff are equipped to get the job done right and prepare your property for any project. 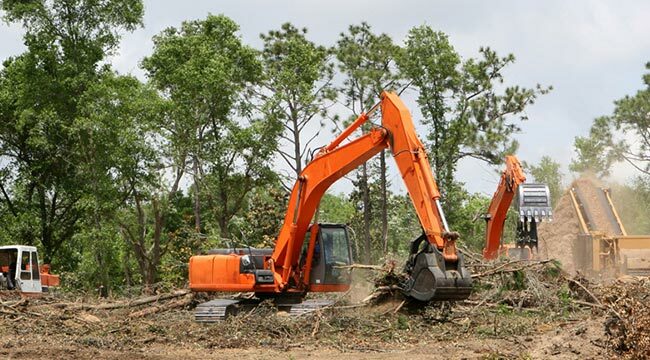 Residential or commercial properties owners in Lake City look to Creative Vision Tree & Landscape Services for environmentally friendly, low-impact land and lot clearing. Our tree clearing methods never involve burning or smoke pollution of any kind. Neighboring shrubs and the roots of any trees you wish to preserve are handled with care by our licensed and experienced arborists. Call us at (386) 688-1578 for a free assessment and inspection in the Lake City area. Our tree experts are available to guide you with any decisions for safe tree removal and lot clearing at reasonable rates.